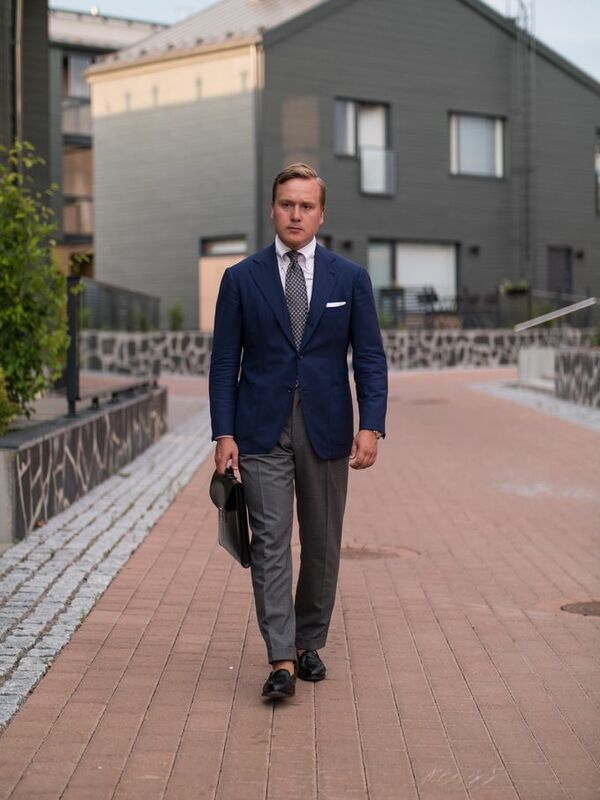 Today's post includes a take into semi professional summer wear. 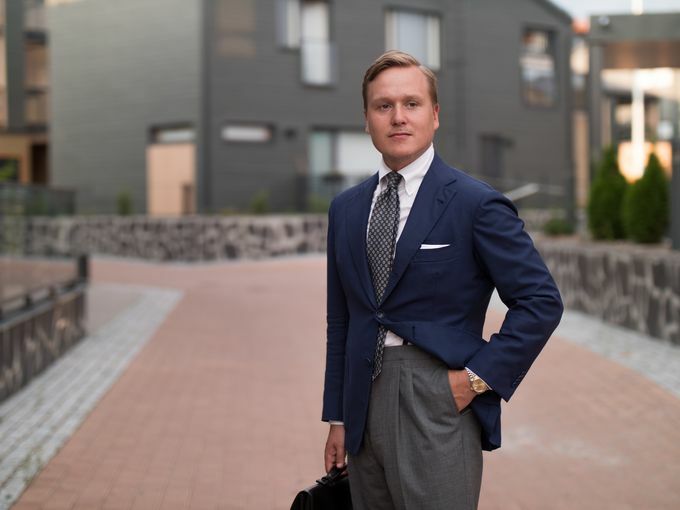 What is basically the typical blue sport coat and khaki trousers is shifted into a more formal vibe by switching to grey trousers and tie as well as black leather instead of brown. 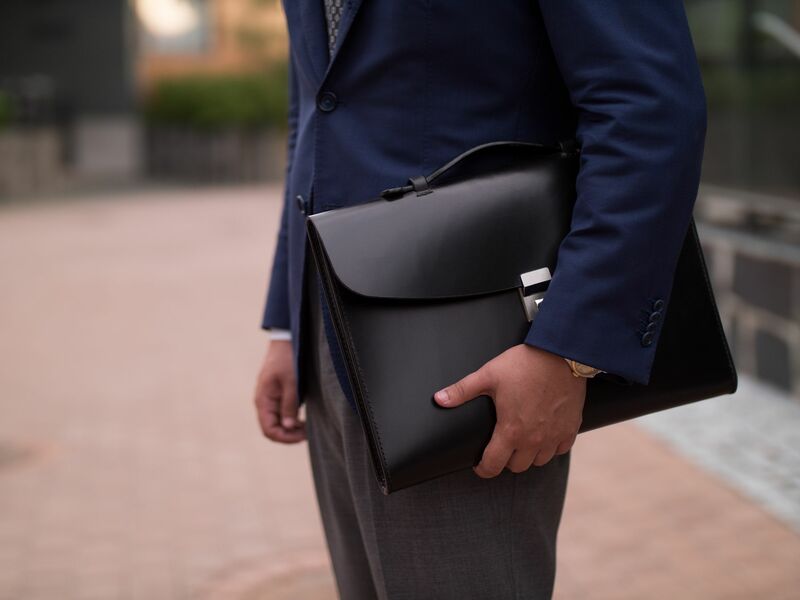 A black bridle leather briefcase is used to go with the effect. 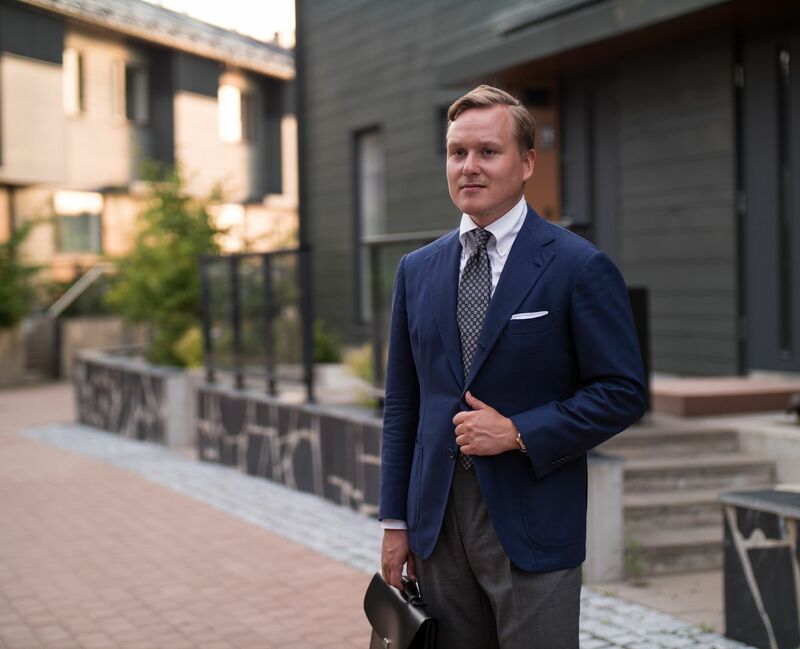 I'm wearing the jacket of my bespoke Sartoria Dalcuore summer wool suit, Vaatturiliike Sauma mtm shirt, Viola Milano 7 fold silk tie, bespoke Kydos linen pocket square, Vaatturiliike Sauma mtm tropical wool trousers, Septieme Largeur loafers, Lefren briefcase and my vintage Rolex Datejust. 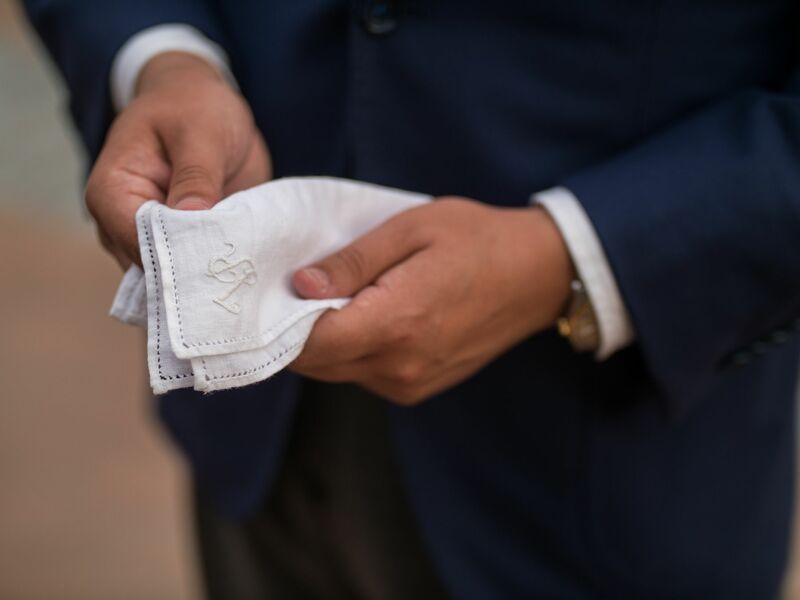 The pocket square from Kydos remains my ultimate favorite pocket square and I end up using it almost every time from my many white pocket squares. The beautiful edge work combined with the perfect kind of weighty but patinated and soft linen just make it look so cool and characterful in my opinion. 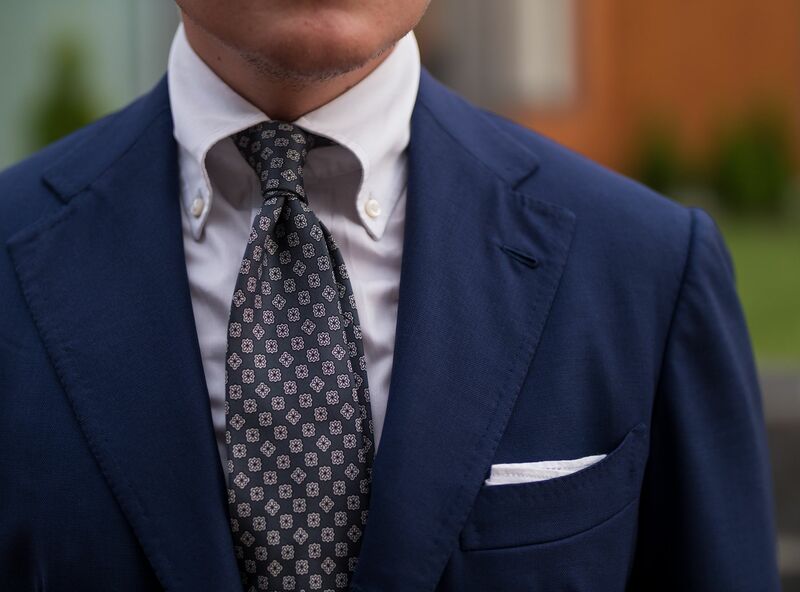 I wear black rather rarely, but it does surprise me positively every time I do. 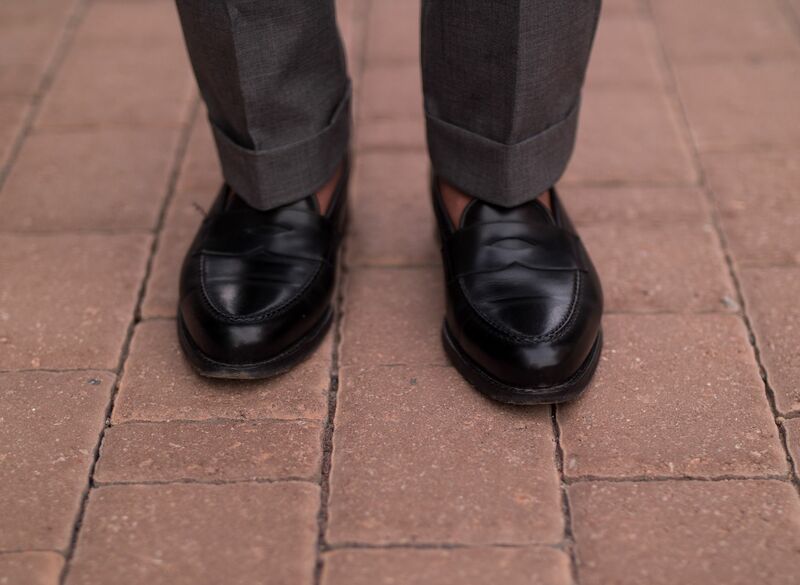 Going forward, I think I will be getting another pair of black Oxfords for winter and enjoy the formal look slightly more often. These pictures were the first ones shot with my GH5 after I got a Metabones Speedbooster and some Canon mount full frame glass. These particular shots we all with the Sigma Art 50mm F1.4, a great lens for sure. While the fifty is not perhaps ideal for full body portraits, I really like the quality of bokeh with this lense, just so creamy and nice. I've since these pictures also found a Canon 135mm F2.0 L to shoot with, so will continue exploring these wonderful lenses in the future shoots.